LONDON (Reuters) -- Russia's GAZ Group expects to sign a deal this week with Germany's Volkswagen AG to build Skoda and VW cars, the Financial Times quoted a senior company executive as saying. Two auto industry sources told Reuters on Friday that the carmakers were planning a joint venture to produce 300,000 cars a year in Russia. 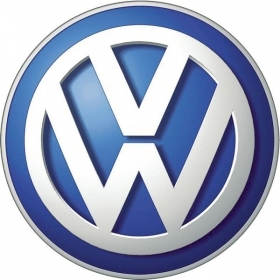 GAZ, controlled by industrial tycoon Oleg Deripaska, would use its plant in Nizhny Novgorod for the joint-venture project, while VW would use its Kaluga facility in Russia. "A deal must be signed by the end of the month," Siegfried Wolf, chairman of Russian Machines, the industry holding group that owns GAZ, told the newspaper in an interview. "We have to inform the Russian government, the ministry of industry by the end of the month with whom we are teaming up," he said. The newspaper said Wolf would not confirm that the two companies had reached an agreement, nor discuss details of the proposed deal. GAZ and VW were not immediately reachable for comment. General Motors Co. said earlier this month it would assemble 30,000 of its Chevrolet Aveo cars at GAZ's plant in the Russian city of Nizhny Novgorod to help boost its local presence in the fast-growing market. Sales of the small-segment car will start in 2012, GM said. In December, GAZ agreed plans with Daimler AG to produce Mercedes-Benz Sprinter vans for the automaker. Output may total about 25,000 units a year, Daimler said.